New Delhi: England’s Jos Buttler has declared an end to his showdown with Indian spinner Ravichandran Ashwin after being dismissed by a “Mankad” run-out in the Indian Premier League. The Rajasthan Royals star had a heated exchange with the captain of Kings XI Punjab after being run out at the non-striker’s end while backing up in an incident that sparked an international debate on the “spirit of cricket”. I just asked him if he really wishes to play the game that way. Whether he thought it was the right thing to do. And he obviously thought it was, in his opinion. The dismissal, named after former India player Vinoo Mankad, is legal but is seen by many as unsporting unless the batsman has been warned first. Buttler said he did speak with Ashwin after the March 25 run-out which even brought disapproval from the MCC, the arbiter of the game’s rules. “I just asked him if he really wishes to play the game that way. Whether he thought it was the right thing to do,” Buttler said. Buttler, who was a victim of a Mankad dismissal by Sri Lanka’s Sachithra Senanayake in 2014, said he “will make sure it doesn’t happen again”. 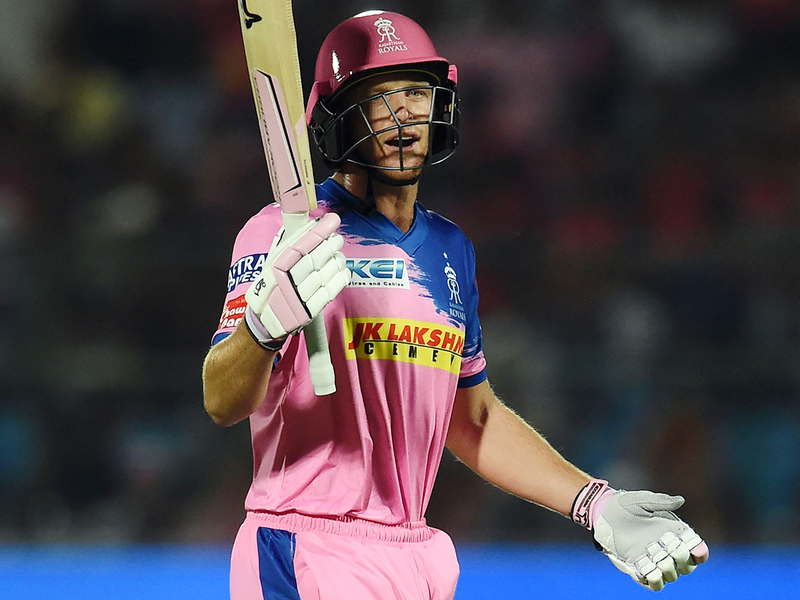 With minds already turning to the World Cup which starts on May 30 after the IPL ends, Buttler said the title was an open race. “We are one of the favourites. Traditionally, in World Cup, India and Australia are up there as well,” the hard-hitting batsman-wicketkeeper said. “We are playing some really good cricket. But World Cup tournaments, knockout tournaments are always high pressure situations,” he said of the tournament. Buttler’s English teammates in Jonny Bairstow, for Sunrisers Hyderabad, and young all-rounder Sam Curran, for Punjab, have also shone in the IPL. “Since the time more England players have started playing in the IPL, selectors have been taking note of performances in the league,” said Buttler. “Through IPL, many players have got a chance to play in the England Test team.